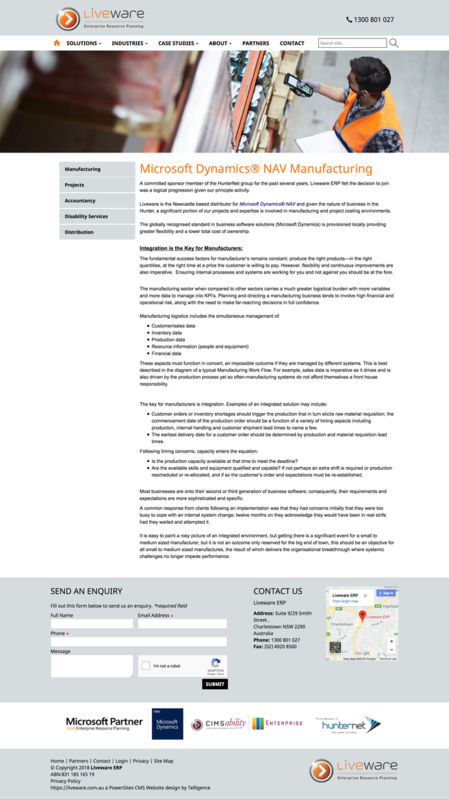 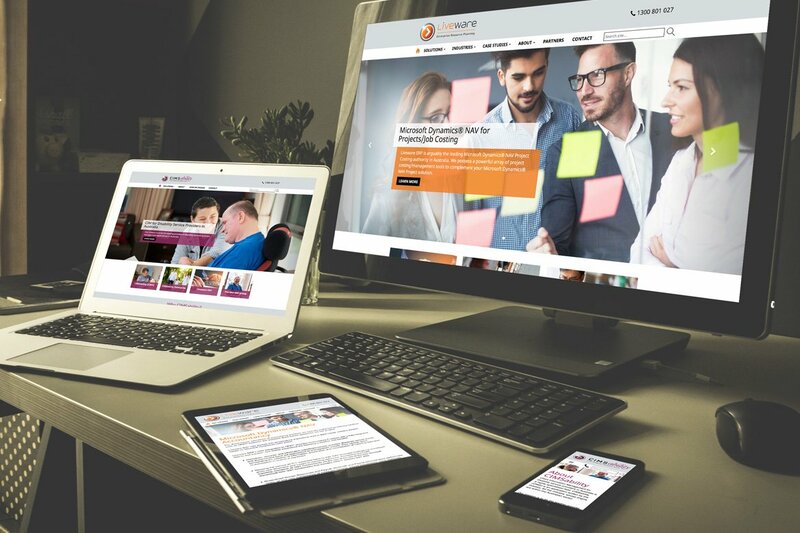 Liveware ERP wanted to refresh their current PowerSites website to be modernised and easier to navigate, and also to take advantage of the PowerSites features such as Content Blocks for Quicklinks. 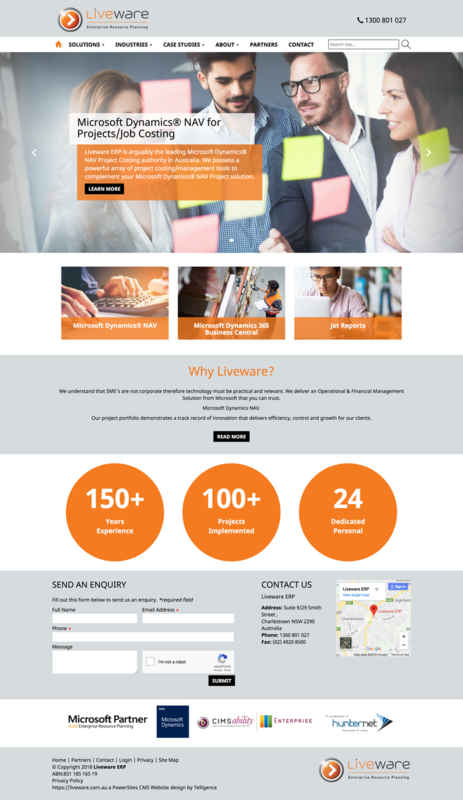 Utilising the PowerSites built in tools, the new look Liveware ERP website was designed so it would be easy for them to change the imagery, content and other elements themself using the PowerSites CMS software. 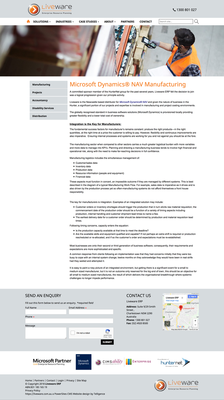 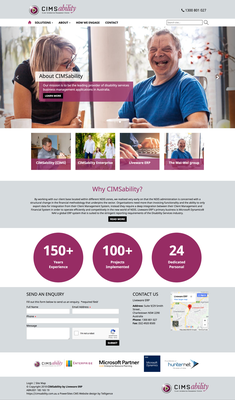 The Liveware ERP website design was then applied to the CIMSability website using the same structure but changing the colours to suit the corporate colours of the CIMSability brand. 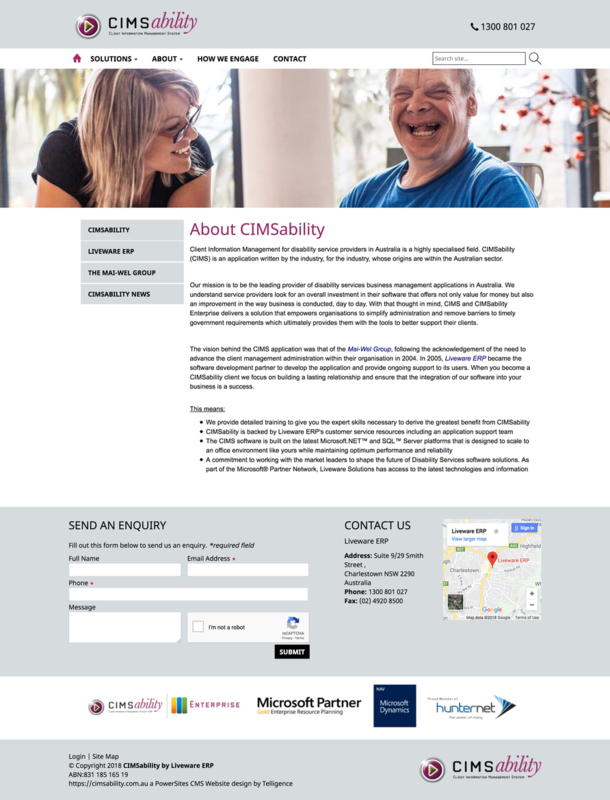 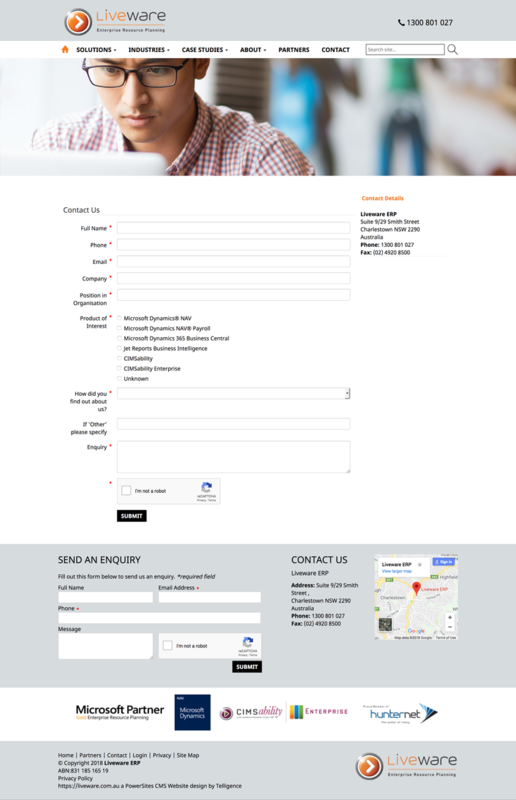 The final result was a seamless application of the design to their current website structre and Liveware ERP were extremely happy with the final results. Modules Used: Powerdata Forms, Content Blocks, Slideshow Module.